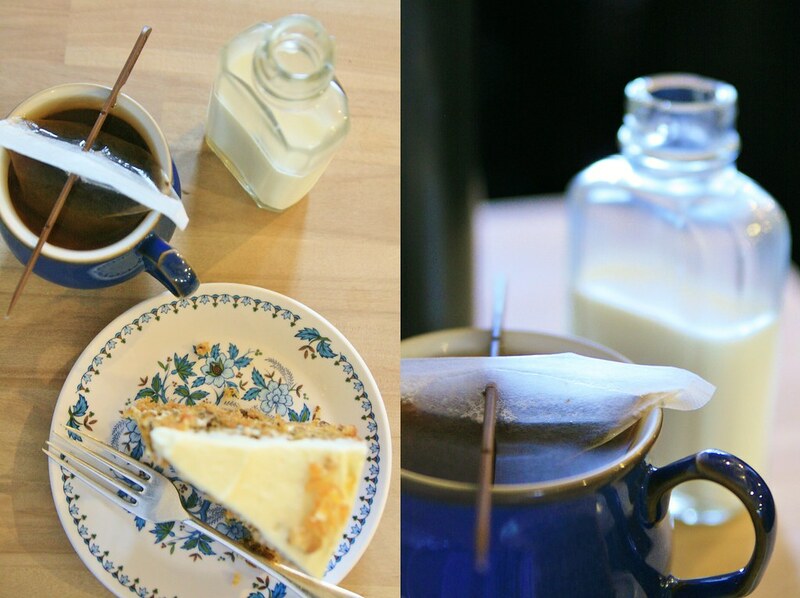 I have finally found it: the best tea and cake shop in the world. This is the place that I would imagine for myself if I could build my cake shop of dreams. Or I would imagine it if I could, but I think it was actually better than any of my tea shops in the clouds. In the name of research I have investigated many an establishment in London and to stumble across my ideal in in Edinburgh was therefore a little bittersweet. Our affair has been fleeting, but I shall never forget it. And one day, I will return. 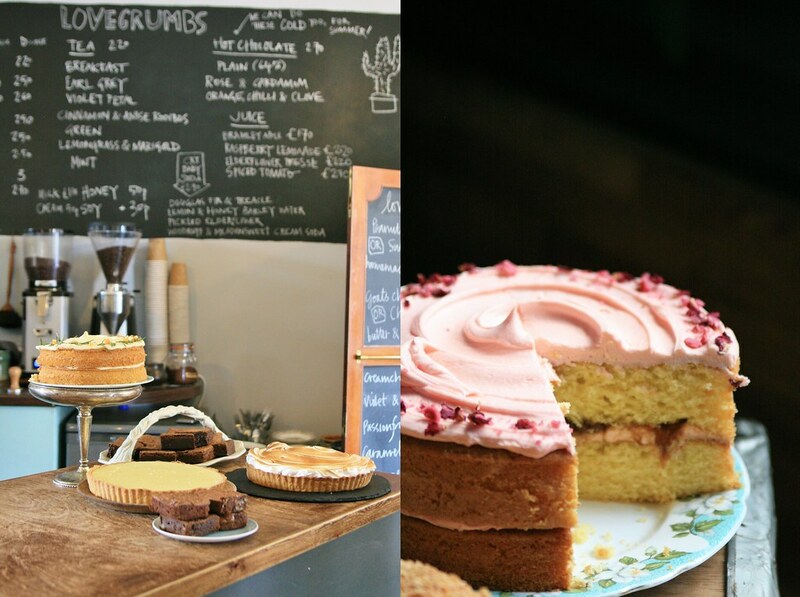 Let me introduce to you Lovecrumbs, a cake-only cake shop. There's no messing around with sandwiches or light lunches here. Just pure, unadulterated cake. 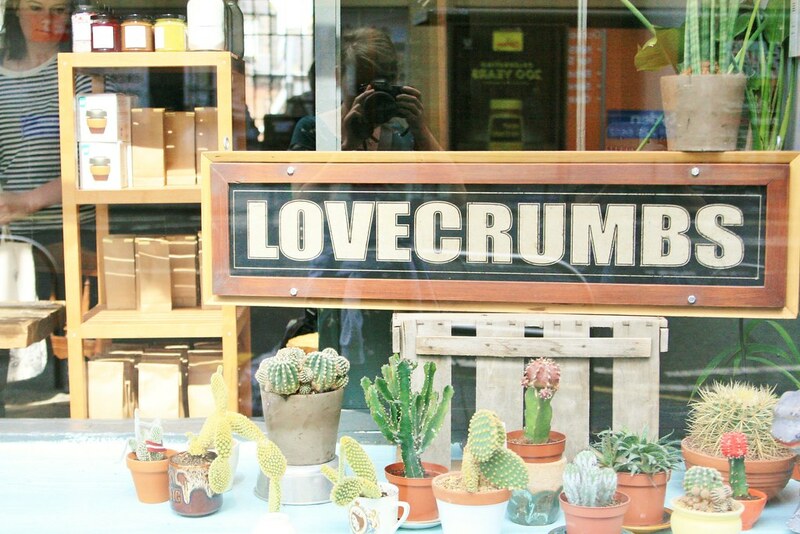 I caught sight of their chalkboard sign in the street and thought to myself what a lovely name Lovecrumbs was, but I was hurrying past on my way to a fringe show and wasn't able to investigate thoroughly for a couple of days. Oh how I wish I had stayed then and established a more lasting aquaintance with this haven, instead of a brief flirtation. I visited three times in my last two days in the city, but I yearn for more of their fabulous cake. Lovecrumbs opperate an order-at-the-counter system. In my case, it was more of a stand-near-the-counter-in-agonised-indecision system as the cakes were displayed proudly in a cupboard and on the counter. A list was chalked up (the photo below showing only half of the available selection!) and the cakes were a mixture of deliciously traditional and intriguingly inventive. And of course they make all their own cakes to their own recipes and the hugely varied selection changes daily. I eventually managed to narrow my selection down to 2 kinds of cake, and determined to come back in the afternoon so that I could have both. 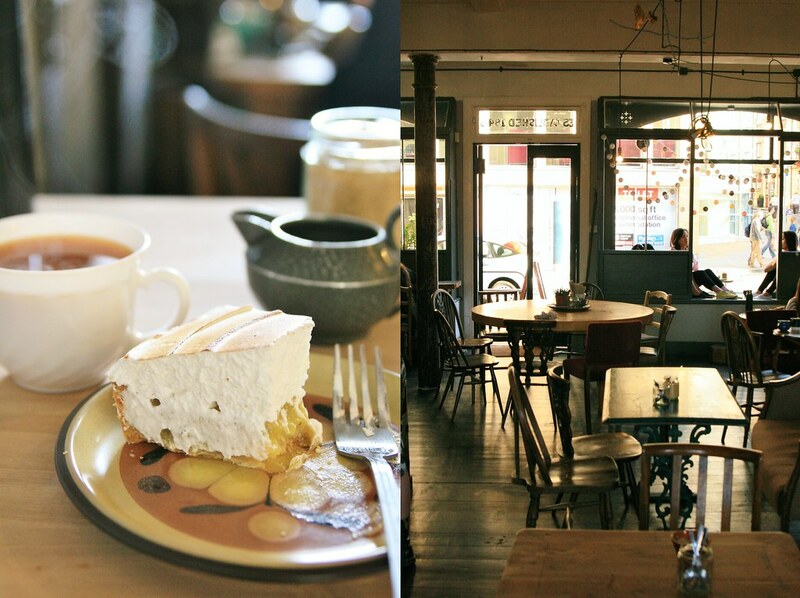 I took a seat among the beautifully mismatched furniture and my tea and cake were delivered. Even the tea was thoughtfully presented: leaf tea in an open tea bag, skewered through so you could balance it in your teacup. Milk came in a variety of drink-me bottles and I was served hot water in a thermos flask so that my subsequent cuppas were just as piping hot as the first. But it was to be said that the cake was the real star. On my first morning, I sampled the passionfruit meringue pie, which was piled with fluffy meringue and the passionfruit cut through in a tart, but deliciously sweet way. I know I'm gushing, but cake shop of dreams, remember? Later that afternoon, I indulged in humminbird cake which was new to me and turned out to be a wonderful combination of banana, pineapple and pecans in a soft, moist sponge with wonderful creamy frosting. Slurp. And the next day, I popped in and had carrot cake. Carrot cake is one of my absolute favourites, and therefore disappointing if it's not up to scratch. However, I knew by then that Lovecrumbs would not let me down, and their carrot cake was devine and had walnuts and a little touch of orange in it. I wolfed it down. 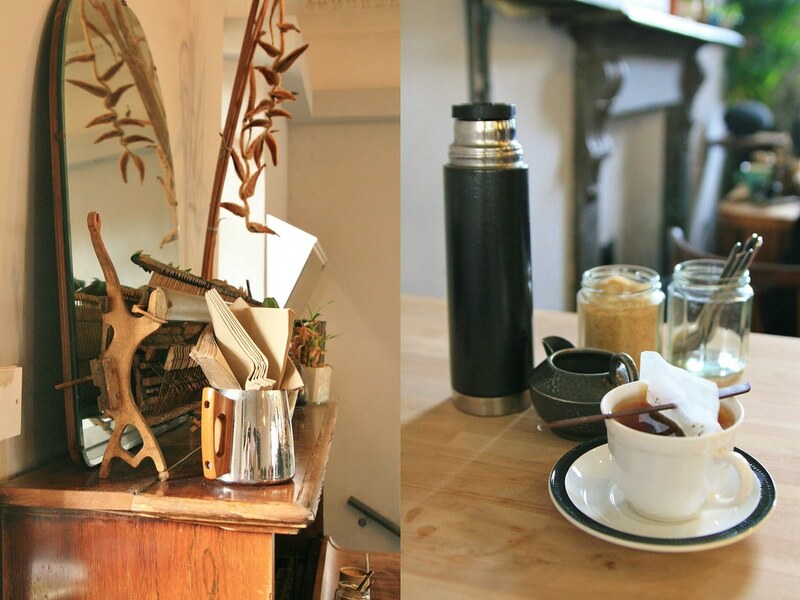 I loved everything about this place from the friendly, welcoming staff to the relaxed, comfortable atmosphere. Even though Lovecrumbs did a steady trade with plenty of people popping in and out, I never felt that I needed to rush to leave and it was a lovely place to sit and read when the rain got the better of the city. I love that they have turned a piano with the lid down into a table, I love that you could peer into the cupboard and look at the cakes and take a hundred photos and no one minded, I love eating the cake, I love the chalk board and the pretty fairy lights... I wonder if I can live there? 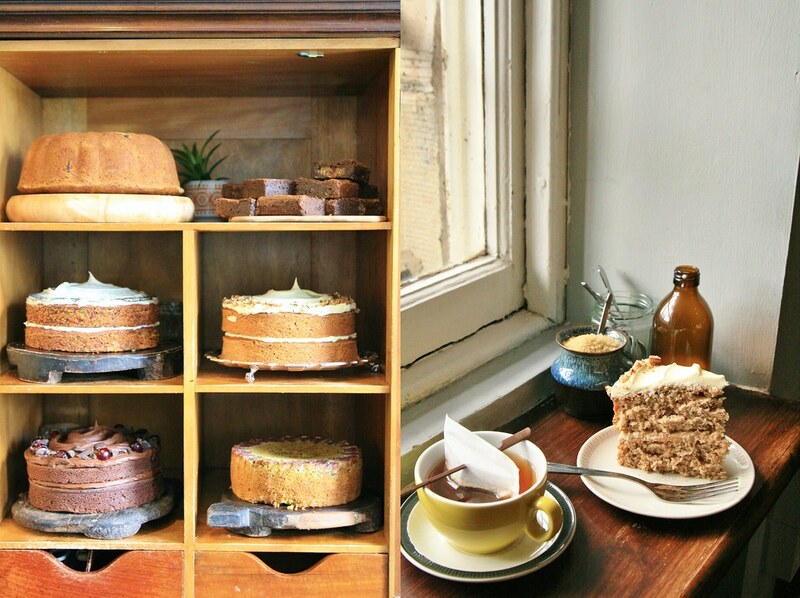 Seriously: cake shop of dreams. P.S. 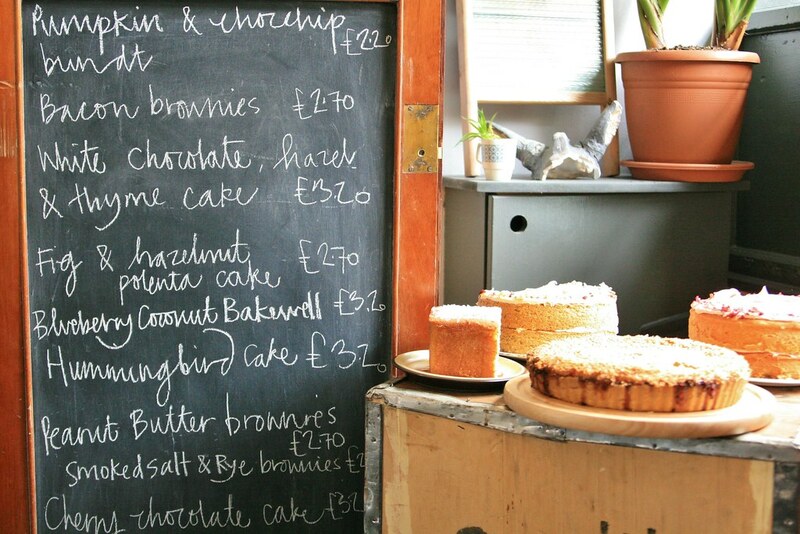 It seemed like the perfect time to share a cake shop given that The Great British Bake-Off is back. And now that I'm back from Edinburgh, I can indulge and get up to date! P.P.S. The #500snapsofsummer total is now over half way! With these 14 photos I have now taken 259 and have 241 still to go. Oh my Kirsty! 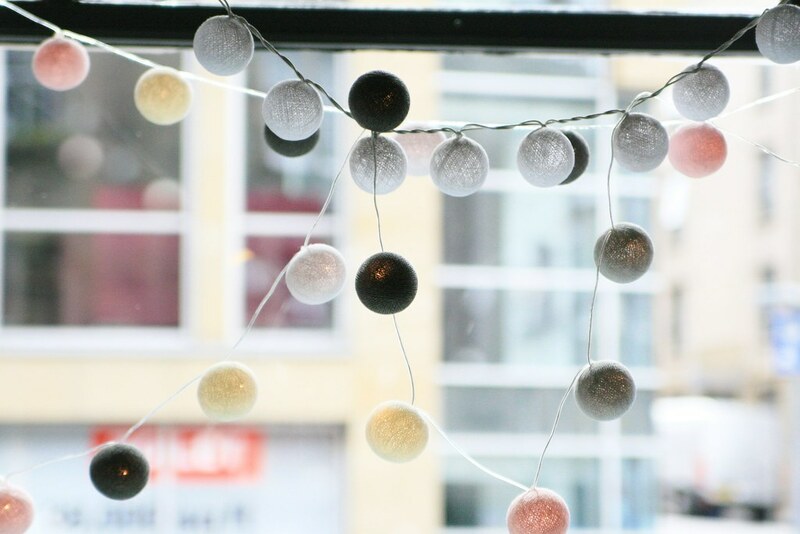 This place looks AMAZING and right up my street. 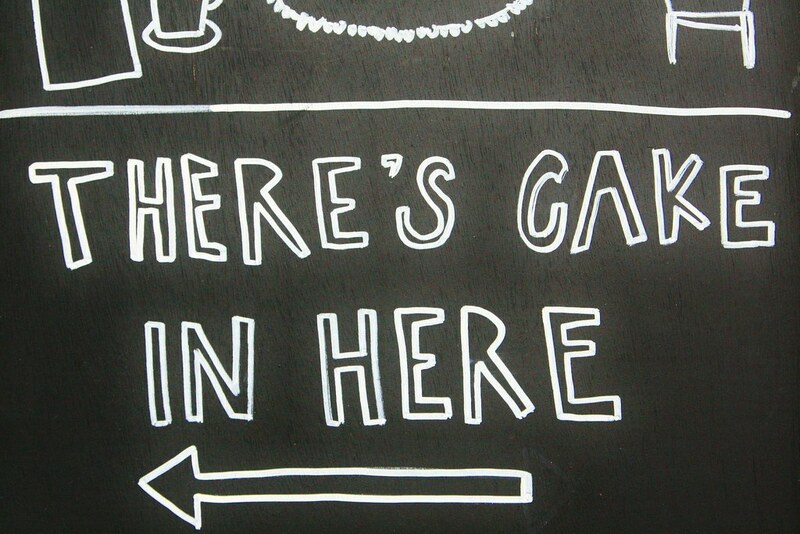 I mean, a place that serves only cake and none of that faffing about with lunches? Perfection! I just adore the little skewered tea bag too. Your posts on the Fringe have been really brilliant, it's something I've always wanted to go to also. Oh wow! That looks amazing! They need to open a branch in London! I need to visit Lovecrumbs!